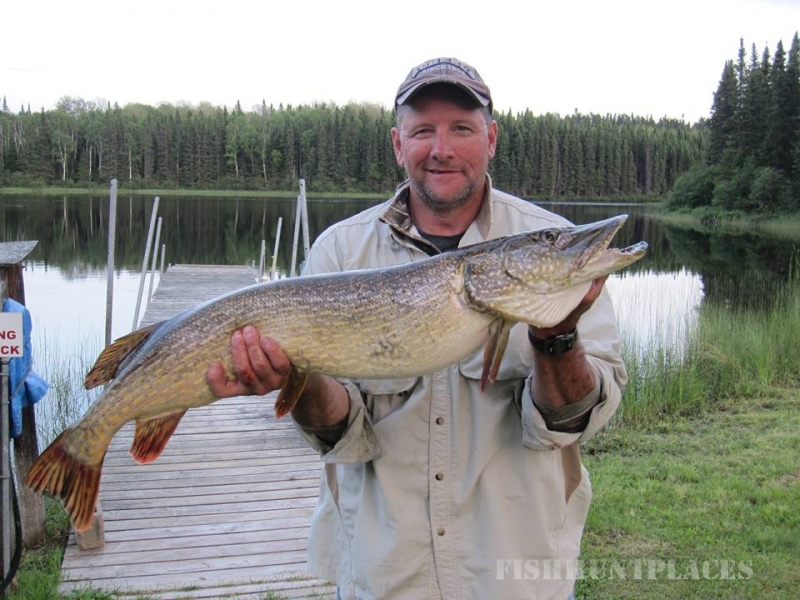 Welcome to Agimac River Outfitters, where your fishing dreams come true! 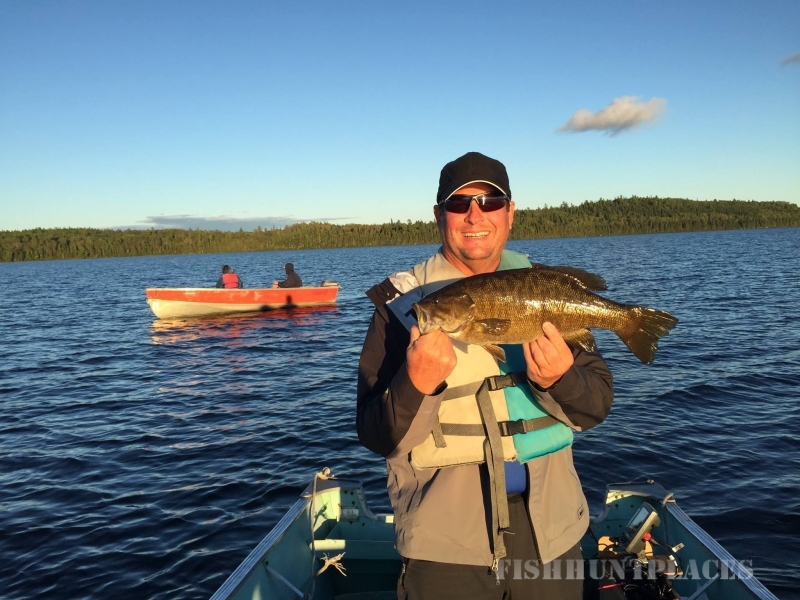 Our remote, drive-to fishing camp is located on the north end of Indian Lake, 18 miles north of Ignace, Ontario, and is the only camp on the lake. 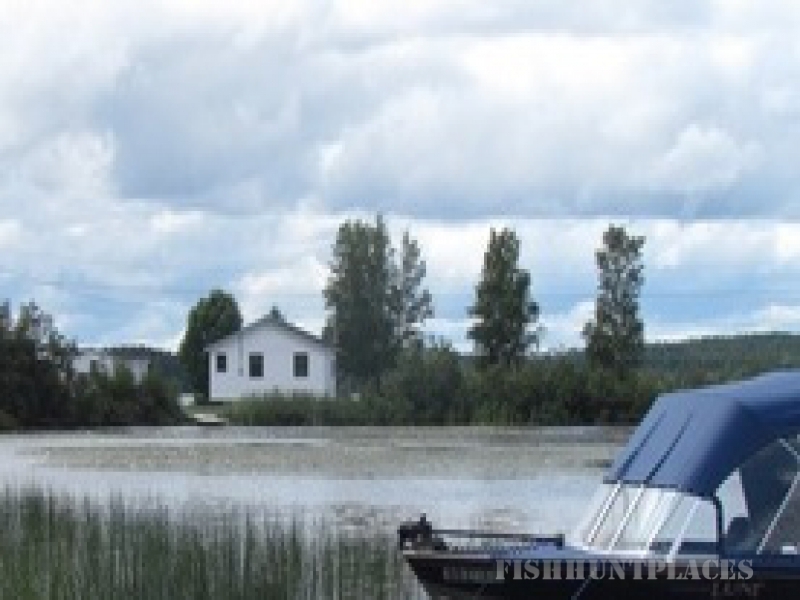 Indian Lake, one of Ontario's best kept secrets, offers world class fishing. 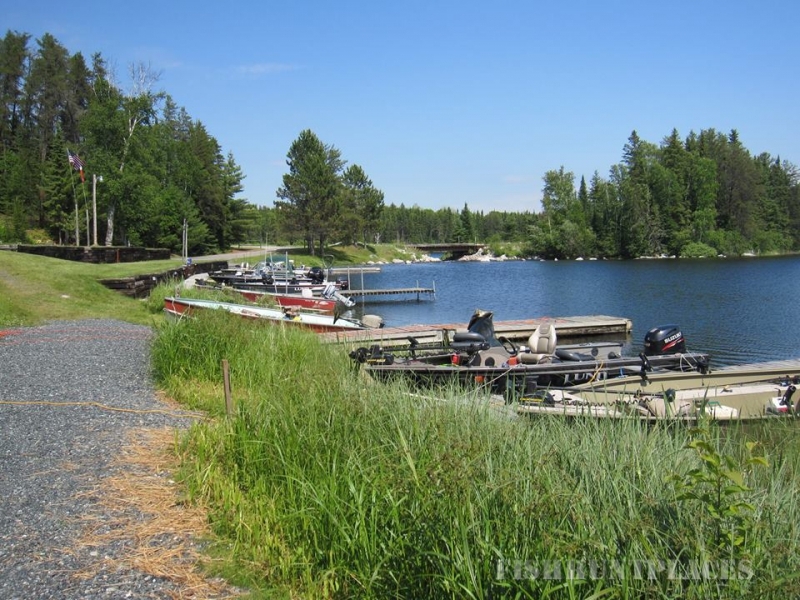 It is approximately 12 miles from the top end of Indian Lake to the bottom end of Little Indian Lake and contains Walleye, Northern Pike,Lake Trout, Smallmouth Bass, Speckled Trout, Perch and White Fish. 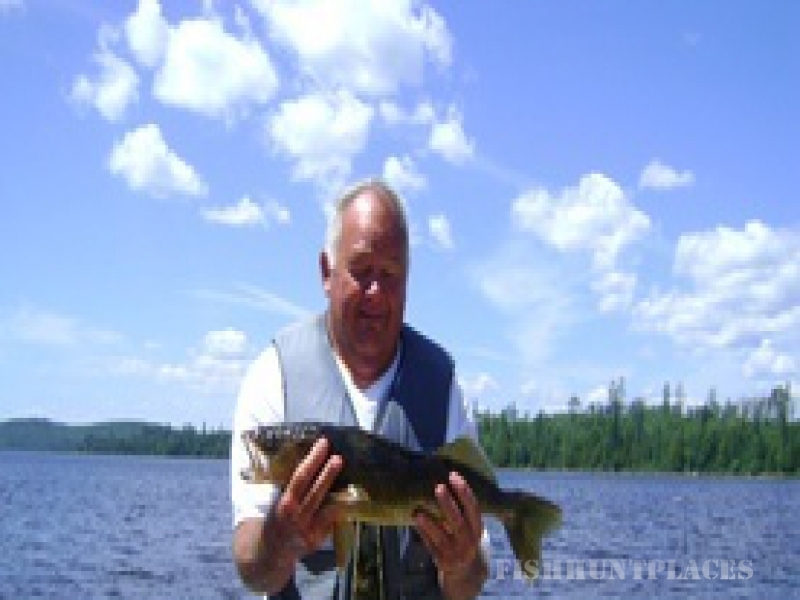 Some excellent Trout fishing can also be found on Mameigwess, the neighboring lake, with access from Indian Lake through a chain of several smaller lakes. 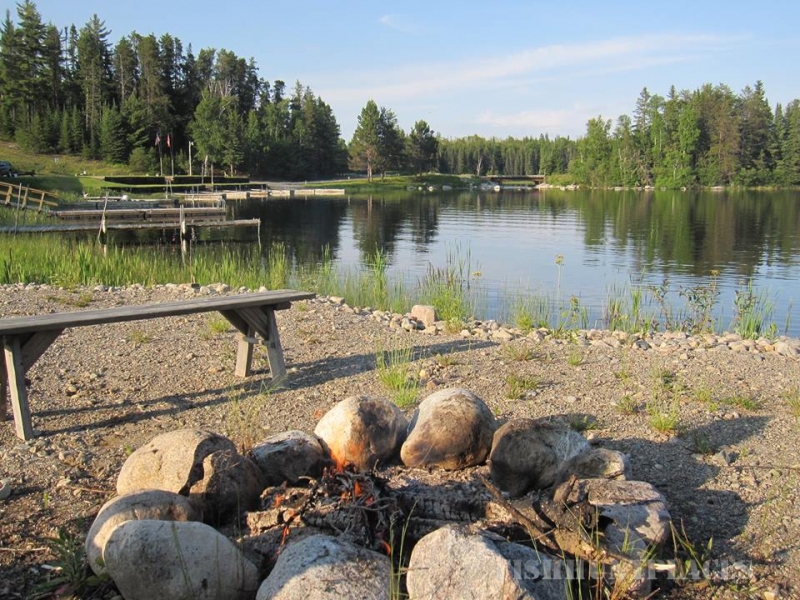 If you want a change of scenery, you can explore the numerous surrounding lakes, all within easy driving distance from Agimac River Outfitters. Bring your own boat and motor or rent them from us. Biologists working for the Ministry of Natural Resources in Ontario, Canada periodically sample the lakes in all twenty zones of the province. They determine the quantities of the different species the lakes contain and how well the fish are reproducing. 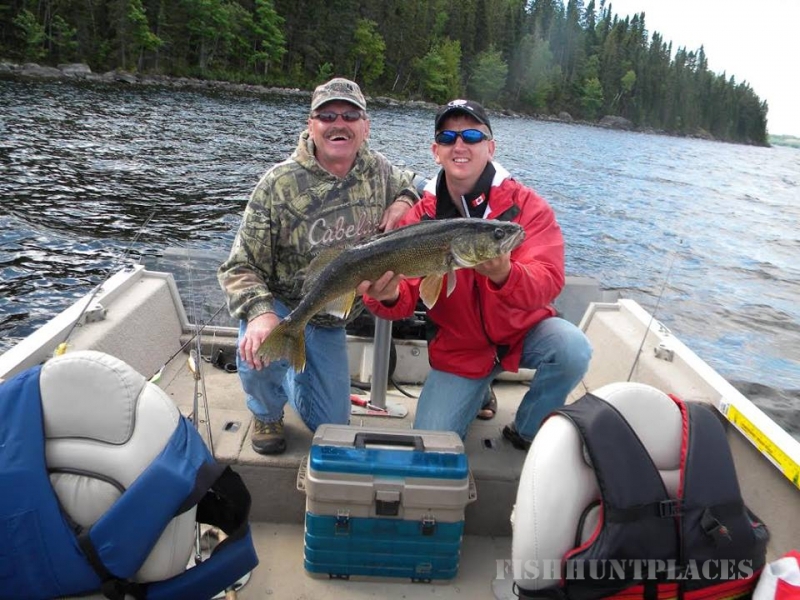 Their statistics show that zone 4 (the zone in which we are located) has the highest amounts of Walleye of the entire province. Indian Lake in particular is showing larger sizes of fish and good reproduction at all ages with all the different species it offers. Ontario is world famous for moose hunting. One of North America's largest mammals, moose are abundant in the Ignace, Ontario area. Hunters have a choice of using a rifle or bow. A mature bull weighs up to 1,400 lbs., and they sport up to 50-60 inch racks. 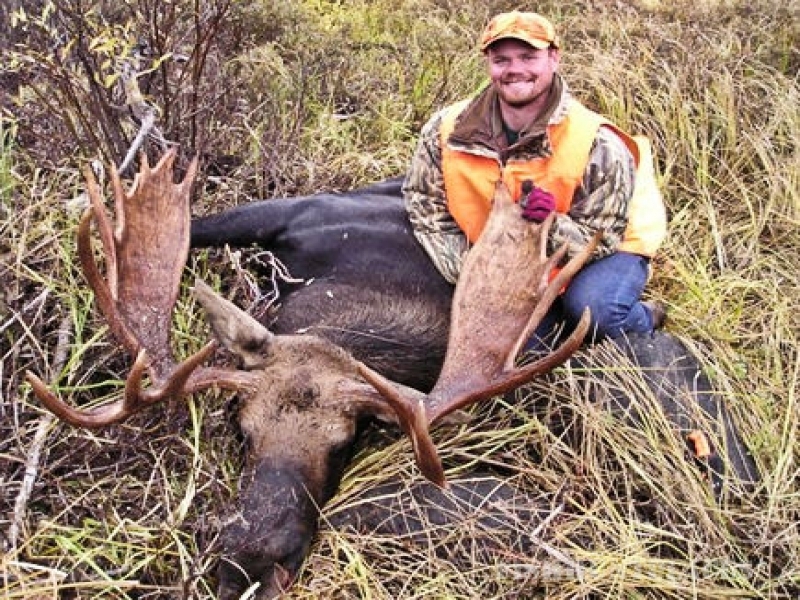 Many trophy big game animals are taken each fall. Some hunters are lucky in being in the right place at the right time and get a trophy head, while other hunters go out to drop an animal with a good rack. 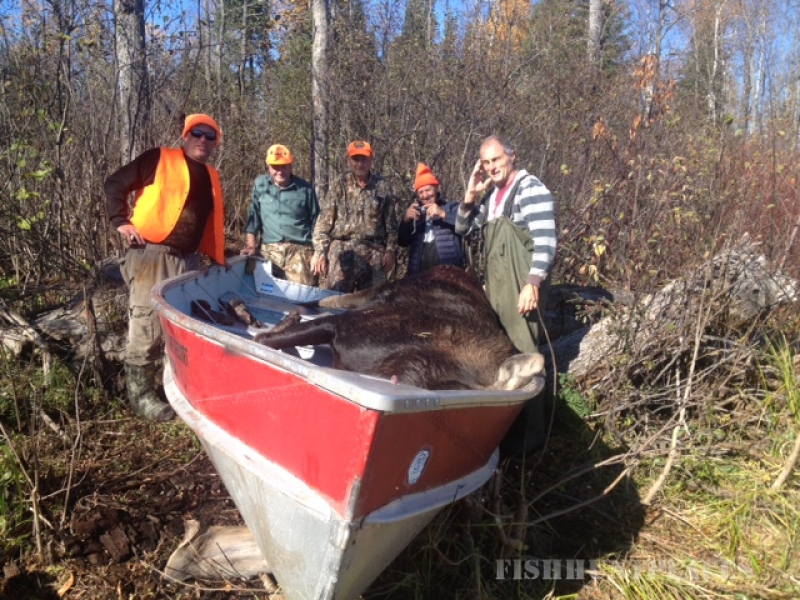 Moose hunting is generally done by foot or stand to avoid noise. 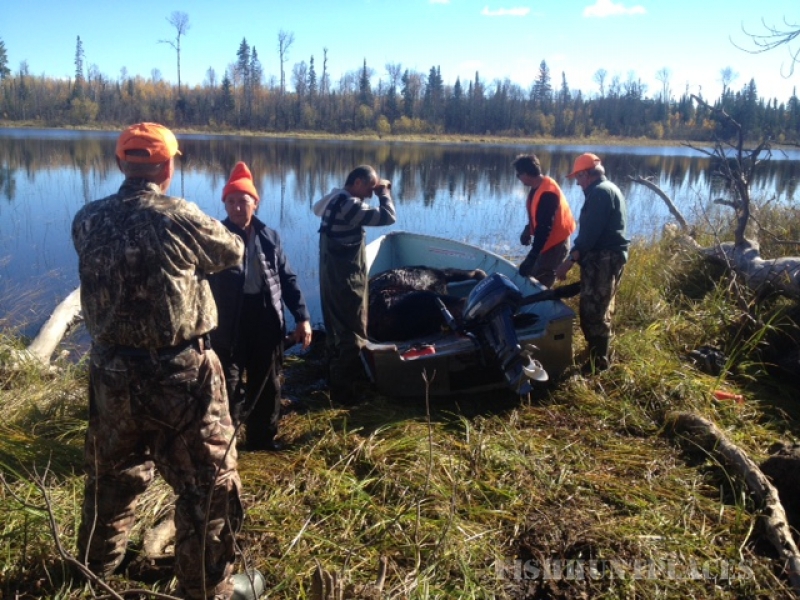 Often moose are taken by watching clearings or cut lines. 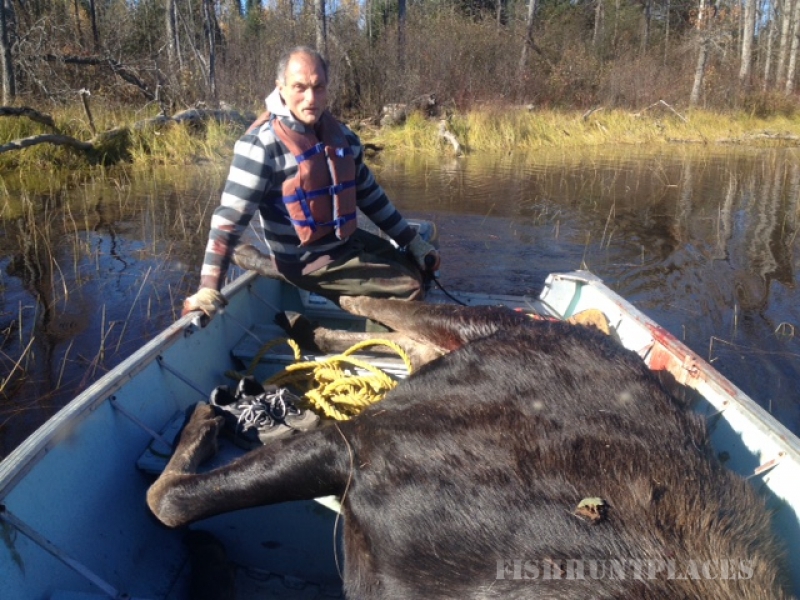 The occasional moose is taken along the lakeshore or while traveling to or from hunting areas. Several methods of hunting are involved, each depending on time and/or circumstances and area.